Many of us have heard about the law of salvage which is embedded into maritime law – but what does it mean and what considerations are there for sailors? The law of salvage allows that a person who recovers another person’s ship/cargo in peril or lost at sea is entitled to a reward commensurate with the value of the property saved. The law is a convention that dates back many centuries – to Roman times and beyond. It is made upon the premise that a vessel in trouble will often carry cargo worth as much or more than the ship itself. Thus the principle of salvage law is that honest men who risk their own lives and their vessels trying to save vessels in distress should be rewarded well. This principle makes a financial obligation on the part of the owner of a vessel in distress. It will both encourage other seagoers to attempt a rescue, and at the same time to deter those who might otherwise plunder her cargo as opposed to saving her. Although salvage laws vary between countries, generally there are conditions that must be met to allow a claim of salvage. The vessel and/or cargo must be in peril, which is broadly defined and may for example include future danger. The person rendering aid (the ‘salvor’) must be acting voluntarily and under no pre-existing contract. Therefore the crew of a vessel may not usually claim salvage for the same vessel since they are deemed under contract. However, there are clauses which do allow for crew to become salvors e.g. if the vessel has been formally abandoned by the master. Finally, the salvor must be successful in his efforts, though payment for partial success can be granted in certain circumstances. The convention does not consider saving lives to be part of salvage, but the protection of the environment is part of salvage. For example if the salvor prevents oil pollution from happening, he indeed performs a valuable service. Therefore, the salvor will be rewarded with special compensation known as liability salvage as opposed to property salvage. a. Would a reasonable Master of the vessel in distress have answered yes or no to the offer of assistance? b. Was there a real apprehension of danger even though that danger may not have been absolute or immediate? c. Was the danger fanciful or so remote as only to be a distant possibility? What advice is there for sailors? Generally speaking, recreational boaters are happy to help each other out and it is highly unusual for those offering assistance to claim salvage. However, if there is no recreational boater assistance available and you’re not in imminent danger you would probably be wise to fix a price in advance with the person offering assistance. This would avoid a salvage claim being made. It is usually cheaper to agree a payment for assistance in advance rather than to leave it to be determined after the event. If danger is imminent, call the emergency services. In the UK – HM Coastguard and the RNLI do not normally make claims for salvage. However, there may be occasion where a boat is in imminent danger and emergency services are not available and salvage has to be accepted. Where possible a skipper and salvor should be very clear on what is being agreed at the time. Salvage terms can be complex and the terms of the Lloyd’s Open Form will be of assistance – keep one in your chart table. This is a simple form of salvage agreement and gives jurisdiction to determine the reward to Lloyd’s of London arbitrators, rather than the courts. Accepting salvage without an agreement on payment (i.e. the amount of any payment will be settled later) is a risk and may be subject to law of salvage arbitration or Court determination. Finally, there is a two-year limit to commence judicial or arbitration proceedings arising from a salvage claim. National sailing associations may be able to provide advice. In the UK RYA members are entitled to free legal advice on any salvage or towage issues, while also having access to further in-depth salvage and towage information, including a download of the Lloyd’s Standard Form of Salvage Agreement, online. 1 From “Law of Salvage” Wikipedia, The Free Encyclopedia. Wikipedia, The Free Encyclopedia, 7 December 2017. Web -18 Dec 17. 2 RYA website Salvage and Towage – copyright 2017. Web -18 Dec 17. 3 Sailfeed website SALVAGE LAW: Do You Get To Keep An Abandoned Boat? By Charles Soane dated Jul 15. Web -18 Dec 17. 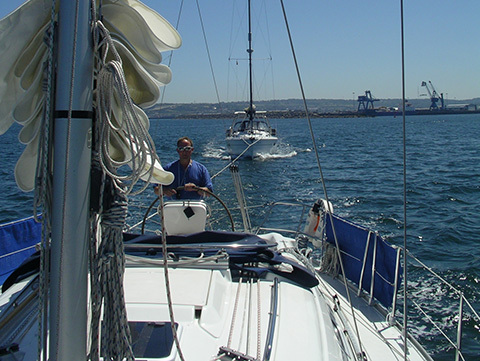 For information about Lovesail.com take at look at our online dating site for sailing enthusiasts. Join our friendly sailing community to meet other like minded sailing souls. Grace Darling was the daughter of William Darling, a lighthouse keeper who was in the employ of Trinity House. 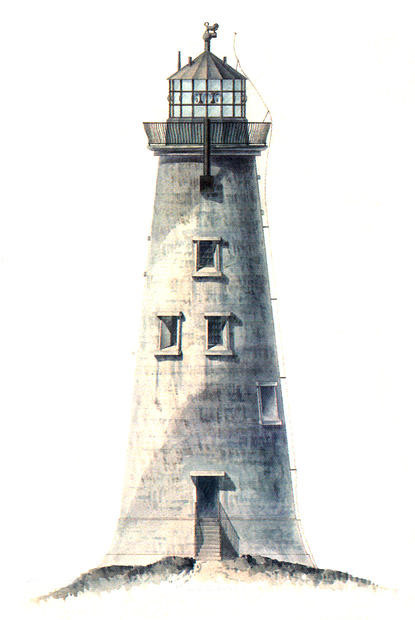 Grace grew up with her family on the Northumberland coast and lived first in Brownsman Lighthouse. In 1826 the family moved to the newly build Longstone Lighthouse, and it was here she become one of Victorian Englands greatest heroines. Grace Darling was twenty-one when she spotted the foundering of the Forfarshire on the rocky outcrop called Harcar from her bedroom window on Longstone Lighthouse. It was 7th September 1838, and she and her father William believed there could be no survivors amid such an horrendous storm, yet as they continued to watch, they were to realise that some had indeed survived and were on the rocks that had done for the ship. Then began the incredible couple of hours of sheer bravery and disregard for personal safety that is still spoken about today. Fearing that the lifeboats from Bamburgh and North Sunderland would not be able to launch, Grace and her father decided to try and rescue the survivors in their twenty foot coble boat, much to the anguish of Grace’s mother Thomasin. They took a longer southerly route to the wreck to try and make use of what shelter they could, meaning a mile row in atrocious seas, to find more survivors then the three they had first reckoned upon. Over two hours and two trips, nine survivors were taken off Harcar rock back to Longstone Lighthouse, two of the survivors helping William on the second trip. The difficulty of transferring weak survivors in to the coble that Grace Darling was trying to keep steady can only be imagined. One survivor, Mrs Dawson, had lost her two young children, and had to leave their bodies on the rock. A lifeboat from Sunderland, which contained Grace’s youngest brother, eventually made the site after an incredibly difficult two and a half hour journey, removing the three bodies they found there, before taking shelter at Longstone, where they then had to remain for a couple of days due to the conditions. It was an incredible tale that soon attracted the attention of the wider world, including the press, attention that Grace was not too keen on. To Grace she had just been doing her duty. The deed was also known to royalty and Queen Victoria even sent £50 to Grace Darling as a token to acknowledge her bravery. It is this bravery of everyday people who risk their own safety to help others at sea that can be seen in the ethos of the RNLI today. Sadly, Grace’s life was cut short by TB, and she died in October 1842, to be buried at Bamburgh next to her family. With Christmas and the New Year well and truly behind us, February can be a little dull. So to perk things up a little Lovesail is giving away one signed copy of the stunning book Rain Later, Good – Painting the Shipping Forecast by Peter Collyer. 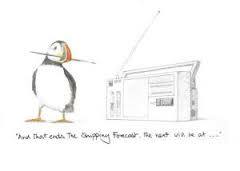 Rain Later, Good is the award winning story of Peter Collyer’s extraordinary journey around the Shipping Forecast areas. The Shipping Forecast, broadcast by BBC Radio 4, is a national institution, relied upon by mariners but also strangely comforting and poetic to landlubbers. First published in 1998 to great reviews, Rain Later, Good was chosen by the RNLI to celebrate their 175th anniversary, and has sold over 25,000 copies. Peter Collyer’s brilliant and detailed paintings help conjure up the most mythical locations, whilst his delightful idiosyncratic text provides a wealth of fascinating insights. He introduces us to the people who live and work in these shipping forecast areas, and he passes on snippets of tantalising information which give a powerful impression of the place and convey a real feeling of being there. The beautiful paintings from his travels really capture the spirit of these wild and isolated spots, and this new edition includes new paintings, sketches and up to date text. This is a much-loved book celebrating an iconic broadcast. To be in with a chance of winning this lovely book just visit our Lovesail facebook page and ‘like’ our Lovesail page (make sure you like the page not a post). The closing date for ‘likes’ is 28th February 2014. We will pick one winner from the ‘like’ list after the closing date. Terms and Conditions of the Giveaway can be seen here. 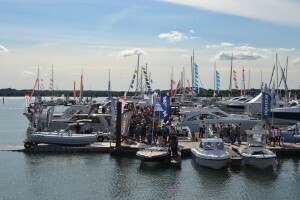 The Southampton Boat Show 2011 is one of the biggest water-based boat shows in Europe. This year the 43rd show runs from Friday 16th September until Sunday 25th September 2011. Here are some of the statistics for the Southampton Boat Show. Average visitor numbers over 120,000 over 10 days, 47,000 square meters of exhibition space, 400+ boats on the 2km of pontoons, and over £1000 average spend per head (excluding the spend on Boats) – that’s a lot of rope! Many attractions are on offer at the Southampton Boat Show. You have the marina with over 350 boats to view and try some of them too. There are team races, Ladies Day, try dives, the sea kitchen theatre, HMS Bulwark and much much more and with over 500 exhibitors like Sunseeker, Garmin, Fairline, Beneteau there is plenty to see. Tickets can be bought in advance from the Southampton Boat Show website or alternatively visit RNLI to save money on tickets and a 10% donation goes to help the RNLI. Lovesail.com is a global on-line dating and social networking site for people who love being on the water. Sailing, yachting and boating enthusiasts as well as crew from all over the world meet up on this friendly site to arrange sailing trips, social events, and dates. And if you’re looking for crewing opportunities, or searching for crew, then this is the place for you. It’s completely FREE to become a member of Lovesail. As a free member you can build a photo profile which you can customise to give it your unique stamp, and also search for other member profiles. All profiles are checked manually by an actual person, which ensures a top quality database of members who have a real passion for sailing and all things nautical. Once you’ve browsed the site you can then upgrade to the GOLD membership for Life and have full access to all of the advanced features of the site. The GOLD membership is a simple and genuine one-off subscription for life which has none of those annoying monthly or annual stealth payments.